Interested in running for a position on the SFSS Board of Directors? Fill in the application here bit.ly/SFSSNomination and drop it off in person at the SFSS Student Centre (MBC 2270). Nomination period closes THIS Sunday (March 4, 2018). If you choose to submit your form this weekend, an electronic copy must be sent to elections.chief@sfss.ca followed by a physical copy to the Student Centre on Monday, March 5, 2018. 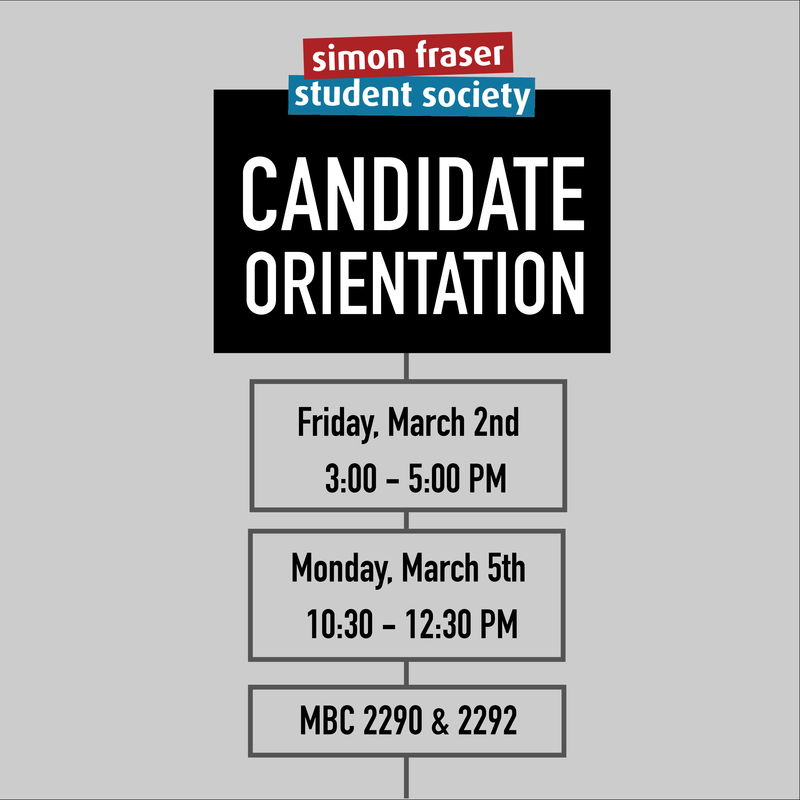 REMEMBER: All candidates are required to attend ONE of the scheduled candidate orientations.